This light-duty, household staple gun is for light to medium work. 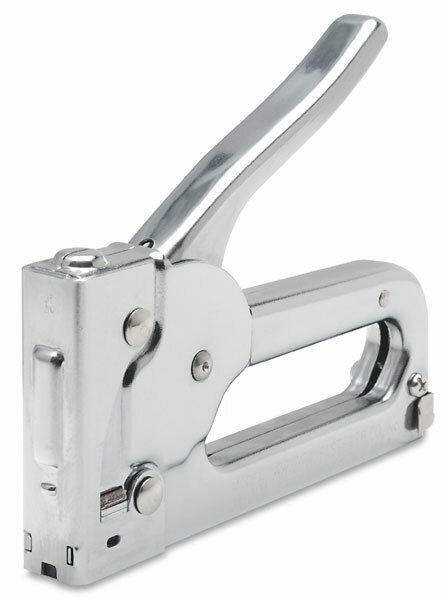 Arrow's JT21 Staple Gun features long lasting all-steel chrome construction, an easy-grip contoured handle, a jam-proof mechanism, a built-in staple lifter, and a visual refill window. It uses JT21 staples only. The JT21 staples are a ½" crown.